Bose might be the first name that comes to mind when most people think of noise cancelling wireless headphones, but a different company took the crown when it came to Black Friday sales this past week. 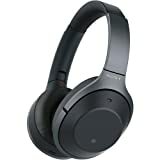 We’re talking about Sony, which slashed a whopping $151 off its insanely popular Sony WH1000XM2 Noise Cancelling Over-Ear Wireless Headphones for Black Friday 2018. This was one of the most popular deals we covered on Friday, and it sold out rather quickly on Amazon. Now, however, we have some good news! Black Friday might officially be over, but the WH1000XM2 headphones are back in stock and they’re back down to their Black Friday price! This deal will definitely sell out again, so get in on the action while you still can. Looking for a less expensive option that’s almost as good? Check out the Sony WH-CH700N Wireless Noise Canceling Headphones on sale for just $98.